Firstly, Afghanistan suffers from a sharply deteriorating security situation. 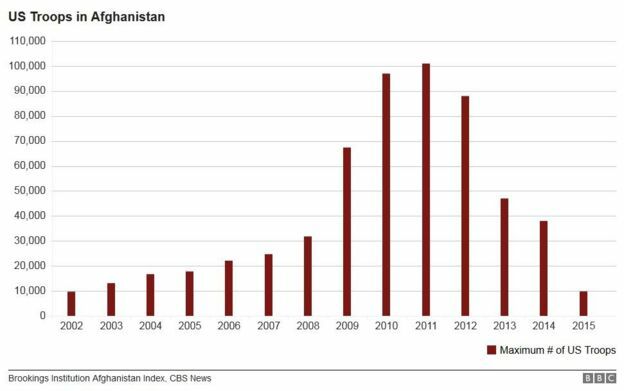 This is mainly due to the massive return of the Taliban and the expanding activities of ISIS and other Jihadist groups which led to a tremendous increase in terrorist attacks leading to an extraordinarily high level of civilian casualties. Secondly, the problematic Afghanistan-Pakistan relations determined by deep mistrust, suspicion, resentment still persists and contributes to political deadlock and conflict in the whole region. Here, it seems that Pakistan’s government and especially its security agents are continuing its traditional support for the Taliban including the Haqqani Network. This will make it even more complicated for the Afghan armed forces -which achieved some success in fighting the Taliban (and other militant groups) but are still nascent and insufficiently equipped- to guarantee security. Thirdly, despite the Iran nuclear deal framework, general mistrust between Tehran and Washington will remain, this will also include suspicions regarding ongoing Iran’s role and activities in Afghan domestic politics. Fourthly, the rising tensions between NATO states and Moscow and the firm determination of President Vladimir Putin to the extent the Russian’s sphere of influence might be also a motive for the continuation of US engagement in Afghanistan and Central Asia. More concrete, the decision to keep more soldiers than planned can be also seen in the context of US and NATO’s willingness to stick to commitments towards friends and to show presence as well as strength. However, taken into account this rationale behind the decision, the number of 8400 troops sounds rather like a symbolic gesture than the willingness to influence significantly the future security scenario in Afghanistan beyond Kabul. However, in order to compensate the limited capabilities and troop level, US Defense Secretary Ash Carter, stated that US commanders, especially General John Nicholson who commands both the NATO-led Resolute Support mission and a separate US counter-terrorism mission, in Afghanistan will now have a more open hand in operations. After the official withdrawal of most of the international combat troops from Afghanistan in 2014, this is, without a doubt, a new dimension in the latest US military strategy in the country. Primarily, this has to be seen as Washington’s reaction of the territorial gains of the Taliban as well as the rise of Islamic State and Al Qaeda activities in the country. In operational terms, transferring more power to General John Nicholson means that the US troops in Afghanistan will be entrusted with more flexibility helping to maximize use of available capacities, reacting faster towards potential upcoming and ongoing threats. However, it means also that the role of US troops in Afghanistan will again take on a more robust and offensive nature, which will most likely result in more combat missions. At the moment, it seems the empowerment of General Nicholson serves primarily the aim to improve cooperation between Afghan and US troops especially regarding US air support to support Kabul in battling the Taliban resurgence and to improve the effectivity of joint counter-terrorism activities. Against this backdrop, out of the 8,400 troops, around 3,000 will be involved in training and advice missions for the Afghan armed forces, and 3,300 will be working as so-called "enablers" in support roles. Theses 6.300 troops will constitute the main part of the U.S. contribution to the current NATO mission in Afghanistan. 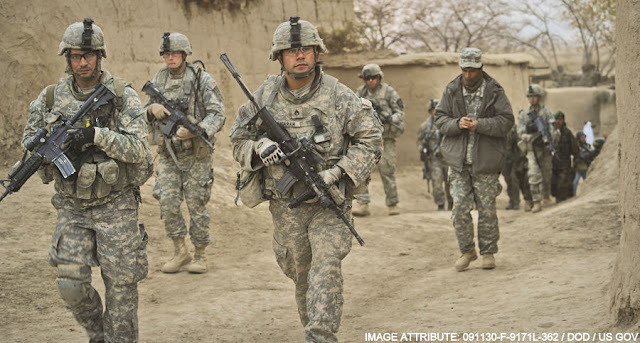 In additional around 2,100 soldiers will be involved in the US-led counter-terrorism operations. Besides this, 400 soldiers will be deployed "over the horizon", in other words outside Afghanistan. In sum, one can expect not only an ongoing fighting role of US troops in Afghanistan but also a ‘post-2014 rise’ of involvement of US soldiers in direct combat situations. Dr. Siegfried O. Wolf is a Senior Researcher (member) at the South Asia Institute (SAI), Heidelberg University, and Director of Research at South Asia Democratic Forum (SADF, Coordinator: Democracy Research Program), a Brussels based think tank. He was educated at the SAI and Institute of Political Science (IPW) in Heidelberg. Additionally he is a visiting fellow at the National University of Science and Technology (NUST, Islamabad), affiliated researcher at the Pakistan Security Research Unit (PSRU, Durham University), and a former research fellow at IPW and Centre de Sciences Humaines (New Delhi, India). Furthermore, he has worked as a consultant for the Federal Ministry for Economic Cooperation and Development (BMZ), Germany, and is member of the external expert group of the Afghanistan-Pakistan Task Force, Federal Foreign Office, Germany. Additionally he works as a political commentator for well-known international media within and outside South Asia.